If you need to search anything in today’s world, you can probably can find it on the internet. This is true for commodities like groceries, gadgets, and even cars. In the last few years, there has been a huge surge in popularity of car search portals, and with good reason – they make buying or selling cars a whole lot easier. And one of the fast-rising websites that offer that service is Truecar. As mentioned, Truecar is an online car marketplace where you purchase both used and new cars. It features a robust search function where you can find hundreds of listings in your area about almost any car you might prefer. Unlike other websites, it does not offer putting up your own listing, but it does boast of over 14,000 partner dealers that posts all kinds of car makes and models, from Acuras to Volvos. True to its name, Truecar strives to give its customers the best price available for his or her preferred car, without any additional fees or hidden charges that often are one of the main complaints of car buyers. Aside from that, Truecar also offers quite a few standout features that it claims to separate them from other online car search portals, and we have listed some of them below for you. You take one look at Truecar’s website and you will immediately notice that it has a very modern look. In fact, it looks like one of those classy websites that you usually see with car manufacturers. It is clean and laid out nicely, emphasizing clear instructions and easily-identifiable buttons. This is important for car buyers, especially first-timers, who value an easy-to-use service. There are no annoying pop-up ads that sometimes populate websites of other competitors and only serve to distract consumers. This design language also extends to its mobile app, which enables users to access the same functionality and features of Truecar’s website even if they are traveling or do not have access to a full desktop or laptop. Truecar’s mobile app, as mentioned, allows users to browse and buy cars even though they are away from their computers. This is an important feature as not all online car marketplaces have their own mobile app. And studies have shown, in the recent years, consumers have shifted more towards using their smartphones to buy items online. And while most mobile apps are clunky reproductions of their full website experience, Truecar’s mobile app looks and feels intuitive to use, inspiring confidence in buyers that they can use it to purchase a big-ticket item like a car. Most car buyers have been traumatized by prices that never seem to be accurate. An online listing about a car indicates one price, then when you go and contact the dealer, you would be presented with tons of other fees, interest rates, and other charges that were not originally part of the listing. We, more often than not, end up paying more than what we planned because we already invested time and effort in researching and finding dealers. Truecar aims to eliminate that scenario with what they call as TruePrice. According to its website, accredited dealers of Truecar gives upfront, discounted prices that already includes all fees or charges and incentives. Truecar claims that the price that the buyer sees on their website is the same exact price they will pay in the dealership should they decide to go on with the purchase. This feature is much-needed as having inaccurate online prices is one of the main reasons buyers, especially the older ones, refrain from using online services such as Truecar. It also saves buyers even more time by allowing them to immediately consider or discard search results and dealers that do not fit a given budget range. While most websites that are similar to Truecar also offer market price estimates, Truecar has a feature called Price Curve. It is the same concept, offering a market price for a certain vehicle, but the prices of Truecar are based on what people near your area have already paid for the same car. This, according to Truecar, makes a more accurate market price valuation as these are the actual prices paid by actual buyers, instead of estimated prices. It also saves you time by not having to compare the prices yourself as you will get a single, validated price range for the car that you are eyeing. Truecar, unlike other websites, does not offer a way for private individuals to sell their cars, but they do offer a leasing program that is not available with other competitors. This is a great option for those who may find out that they do not have enough budget for a specific car but would still like to use that same car. Truecar offers lease options from the same accredited dealers it has a partnership with, so those who opt to lease rather than buy get the same standard of service. The leasing option can save consumers huge amounts of cash on a monthly basis, although as with any other leasing setup, you must return the unit at the end of the term, provided you do not want to extend your initial contract with the dealer. As indicated above, Truecar has the look and feel of a very modern and up-to-date service. Whereas it does not have the robust feature set of other websites such as Autotrader or Carmax, it does have unique features such as TruePrice and Price Curve that can make it a compelling choice. Truecar chose to focus on buyers instead of sellers, but does its more focused approach provide a better experience for consumers? Find out from some of the reviews that we collated just for you. Truecar has been gaining popularity in the past few years, and the mostly positive reviews it has on Trustpilot is a testament to that. It has, so far, garnered a TrustScore of 8 out of 10, and a 4 out of 5 rating on the site. Most of the reviewers raved about how easy it is to buy a car in Truecar, and they also were very happy with the Trueprice feature. A lot of the reviewers appreciated not having to inquire whether there were any other fees or hidden charges aside from the price posted on Truecar, and they claim it really sped up the process of purchasing a car. Some users also commended Truecar’s staff for their excellent advice regarding their planned purchases. Reviewers also noted that most of the dealerships that Truecar recommended also offered excellent customer service and negotiable prices, even after being given a TruePrice quotation by Truecar, which really satisfied a lot of customers because they were able to get even lower prices for their cars. eKomi is a relatively new review site, but Truecar has garnered almost 18,000 reviews to date on the platform. Fortunately for Truecar, most of the reviews are positive, which lead to eKomi giving the online car marketplace a Silver Seal of Approval customer award. Truecar has also registered a good 4.5 out of 5 rating at eKomi, as most users reported having a pleasant car buying experience with Truecar. Most of the users liked the fact that the price they see on Truecar’s website already includes all fees and discounts, and in some cases, they were even able to get a lower price when they finally went to the dealers. Customers also appreciate that Truecar directs them to dealers that are good at customer service, and they particularly commended the smooth and hassle-free process of Truecar, both while using the website and the mobile app. 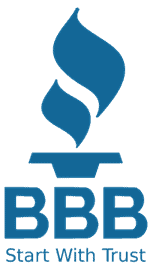 Although both Trustpilot and eKomi featured a lot of positive reviews and stories about Truecar, the same cannot be said about the reviews posted on Better Business Bureau. Truecar has not yet been accredited by BBB, but buyers can nonetheless still post their reviews, which are mostly negative as of the moment. Most of the complaints centered around the report that the price posted by Truecar online was not honored by some dealers that are supposed to be partnered with the online car marketplace. Some buyers said the dealers demanded additional payment on top of the TruePrice posted by Truecar, which defeats the purpose of the feature. Some dealers also complained that while the process of searching for and buying a car through Truecar is painless and convenient, they were bombarded with incessant texts and calls from numerous dealers after they created an account with Truecar, and that they were informed that there was no way to take back the customer information that Truecar provided its dealers when customers signed up to their website. But it is important to note that there were only a few reviews on BBB about Truecar as compared to both Trustpilot and eKomi, which might lead to slightly skewed results. Because Truecar has a mobile app, mobile also serves as a major platform for their service, especially now that consumers are turning to their smartphones for most of their everyday transactions, including big-ticket purchases that were previously done in physical stores. Having a 4.2 out 5 rating in iTunes suggests that not only does the app function well with few bugs, but it also does its job of making a car purchase using your mobile phone a great experience. Most users of Truecar’s mobile app noted how easy it is to research about their preferred cars with their smartphones while in transit or away from their home or office. As to those who use the desktop version, users of the mobile app were also happy about the TruePrice feature, which they said made it easier for them to negotiate with dealers. A lot of reviewers also commended the fast response of Truecar sales personnel, via email and calls, to their various inquiries. Not all were satisfied with Truecar’s mobile app experience, though. Some reported that the app crashes on their smartphone, while some cannot find a way to connect to Truecar’s servers. Also, some of the users were irked about the spam messages and emails they got after registering in the mobile app, which a lot of other users verified. In fact, there were a lot of people who were happy with Truecar’s service but still left negative reviews only because they were feeling harassed by all the dealers who got hold of their information because of Truecar’s registration process. Truecar is one of the newer car search websites on the internet and offers a slightly different take on the online car marketplace model. Instead of trying to offer every possible service to customers just as other websites do, Truecar decided to focus on just purchasing a vehicle of your choice, offering features such as TruePrice and Price Curve to really make the process smooth and convenient for customers. The strategy seems to pay off, as a lot of consumers have nice things to say about Truecar’s process. It also allows the company to weed out extraneous features that usually just distract customers, and in turn, makes their website and mobile app more user-friendly and more modern-looking than other competitors. TrueCar is a handy tool when it comes to getting a good deal on your car. From finding what others have paid to receiving real offers from local dealers, TrueCar makes it easier for you to get a fair price. TrueCar is different from most car sales websites. This is because TrueCar doesn’t sell cars, but instead gives buyers useful information when it comes to buying a car at a fair price. Then, TrueCar connects you with a certified dealer who can give you discounted rates. Read on to find out more general information about TrueCar. TrueCar is a website where you can view what other people have paid for any specific car after negotiation. Dealerships also use TrueCar to find potential clients. TrueCar works by capturing data from previous car sales and compiling it into an average of what others have paid for the same car. What is my car worth in TrueCar? Every car has a different value on TrueCar, and you can find your car’s worth by going to TrueCar.com and searching up your car’s make and model. What does TrueCar price include? The TrueCar price includes the basic value of a car. It doesn’t, however, include the tax, licensing, documentation fees or dealer installed accessories. What is upfront price on TrueCar? The upfront price on TrueCar is the amount a dealer is pricing the specific car at. This price is set by individual dealers and are set considering the Average Paid Price of that car as well. TrueCar is a very handy tool when you’re car buying. This is because it allows you to see how much others are paying for the same car, so you’re not stuck paying the MSRP. How does TrueCar pricing work? TrueCar estimates the average others have paid for a car. Dealers can go into TrueCar and list their own prices for their cars compared to the average paid. How much does TrueCar cost? TrueCar is free to car buyers to fully use all of their information. They are able to provide their services for free since they charge dealers for every car sold or lead generated through TrueCar. How to lease using TrueCar? While TrueCar appears to be mainly towards buying new and used cars, it can also help you when leasing. Look for a car’s Certified Upfront Pricing to see what you should pay when leasing. How to sell car on TrueCar? To sell a car on TrueCar, you can enter your vehicle information and get a True Cash Offer on the spot. From there, you can take this offer to a Certified Dealer to cash out or trade-in your vehicle. How good is TrueCar price? TrueCar Average Paid Prices are well-respected, they hold weight when you step into a dealership and show them what a car’s TrueCar price is. You can use this price to negotiate lower prices. Ratings are provided for every vehicle make and model, and the ratings come from real and verified owners who fill out the survey who have bought the car. What does TrueCar true price mean? TrueCar’s true price is the discounted price you’ll pay at the dealership, including all fees, accessory costs and incentives. This price is backed by data and TrueCar claims you won’t find a better deal. How do you register with TrueCar? You can register with TrueCar by going to TrueCar.com and entering your information when you look for a vehicle. Registering and using all of TrueCar’s information is free for car buyers. How to use TrueCar estimate to buy your car? You can use TrueCar estimate to see how much others have paid for the same car, and you can use this value to see if you’re being offered a good deal or not. Scott Painter was the founder of TrueCar back in 2005, but he stepped down as CEO in 2015 and was replaced by Chip Perry, who was previously CEO of AutoTrader.com. 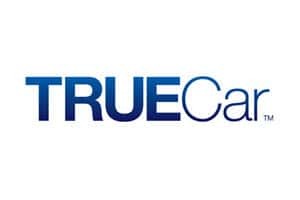 TrueCar was originally incorporated under the name Zag.com in 2005, providing car data from difference sources, and since then has become called TrueCar.com. How Accurate is Data on TrueCar? The main enticement about TrueCar is the data it offers to its users which allows you to get better deals at dealerships. Read on to learn more about where the data comes from and how accurate it is. How accurate are TrueCar prices? TrueCar has stated that they are 91.1% confident their Average Paid Price is within $20 of the average price paid for the specific car during that week. That confidence level is an average and varies by car. Why does TrueCar price change daily? The TrueCar price is changed daily because new data is captured daily, and these changes are captured in TrueCar’s prices. This is why you can rely on their prices to be the most up to date and current. TrueCar provides very accurate data as it works directly with dealerships. It’s able to collect data and give its users useful and accurate data on everything a dealership knows about cars. How does TrueCar get its data? TrueCar gathers its data from a variety of well-known data aggregators to gather as much (accurate) data about cars as possible. Where does TrueCar get data? TrueCar gets its information from a variety of sources, and they are 91.1% confident their Average Paid Price is within $20 of the average price paid for the specific car. While TrueCar doesn’t sell cars, it does work closely with dealers to connect its users to dealers. Read on to learn more about the relationship between car dealerships and TrueCar. TrueCar certified dealers are dealers who meet TrueCar’s strict requirements and have agreed to work with TrueCar to provide competitive pricing on new and used cars. How to find out dealer from TrueCar? For every car on TrueCar, there’s an option to find a certified dealer near you. When you search through local dealers, you can see which dealers are offering this car and what their price is. What is TrueCar dealer price? The dealer price on TrueCar is how much a dealer is offering to sell their vehicle on TrueCar. While dealers take into consideration the average amount paid for the car, they’re not restricted by it. How does TrueCar make money? Most of the money that TrueCar makes comes from revenue of cars sold on TrueCar. TrueCar charges dealers a set fee for every car that is sold which was listed on their website. Why does TrueCar need my phone number? TrueCar gathers a number of data when you first sign up to their site. This information is required so that dealers can connect with you and provide you with competitive offers for the car you’re interested in. What is a TrueCar certified dealer? TrueCar certified dealers are dealers who meet their rigorous set of requirements to be a certified dealer on TrueCar, ensuring TrueCar customers connect with only the best dealers. How much does TrueCar charge dealers? TrueCar charges dealers a set price for each car sold, depending on if it’s new or used. By charging dealers, TrueCar is able to keep their services free to buying customers. TrueCar prides itself in the data it provides to its users, which can easily be used to negotiate for better prices at a dealership. Continue reading to learn how you can use TrueCar to negotiate too. Why are TrueCar prices so low? TrueCar prices are lower than the MSRP because no one actually pays the MSRP. Instead, they can be negotiated, and TrueCar gives you the average price that others paid for a car, which is always less than the MSRP. How to use TrueCar to your advantage? You can use TrueCar to your advantage because it’s a very well-known site. When you present the TrueCar Average Price Paid for your car, dealers will often match the price or at least lower their price closer to it. Using the data that TrueCar gathers, they can accurately estimate the national average of what others have paid for the same car, helping you know if you’re getting a good deal or not. How to negotiate a used car price with TrueCar? TrueCar provides average prices paid for used cars, and you can use this price when negotiating in buying a used car, even if it’s not in a certified dealer. How to use TrueCar to negotiate? A big part of negotiating is knowing how far you can bring down the price, which you can use TrueCar for. On TrueCar, you can see what other buyers have paid for the same car. How does TrueCar certificate work? TrueCar provides you with the average amount paid for each car and dealers can also offer you their own price considering this average. Both can be used to get a lower price when buying a car. How to beat TrueCar pricing? TrueCar pricing is only the average amount that others have paid for the same car. This means that you can still buy a car for even cheaper than this amount, although it can be hard to negotiate. While TrueCar has a unique approach, there are other companies you can turn to in the hopes of buying a car at a fair price. The following are questions on how TrueCar compares to these companies. Who has a better deal, Costco or TrueCar? TrueCar is able to provide users with consistently great deals based on real data. Often, you can find better deals on TrueCar and use TrueCar data to negotiate even lower prices than Costco can offer. Which buying site is better, TrueCar or Edmunds.com? TrueCar is best when it comes to researching what price you should be paying for a car. This is because you’re able to use their average price paid during negotiation and even make dealers compete for lower prices. What is better, CarMax or TrueCar? CarMax is a site that buys and sells cars at their own set prices, while TrueCar makes dealers compete to give you a fair price. Because of the competition, TrueCar can give you fairer prices. There are many other questions you may still have about TrueCar, including the history of TrueCar, leasing on TrueCar and even just closing your TrueCar account. How to statewide search on TrueCar? Currently, TrueCar conducts its searches based on your zip code, but after selecting the car you’d like, you can scroll to the bottom of the page to the “Most Popular Cities” section to search different cities. How to verify TrueCar purchase? TrueCar verifies that you have purchased a car through the dealership since the dealership and TrueCar work hand in hand in getting you a good deal. How can TrueCar help you determine a lease? You can use TrueCar’s Certified Upfront Pricing to determine what a fair price is for the lease. Using this tool, you can help negotiate or go with a dealer that will give you a lower price. How does a dealership become certified on TrueCar? To become a certified dealer for TrueCar, go to https://dealerportal.truecar.com/dfe/. Here, you’ll be asked to fill out information about your dealership and see if you qualify. Currently, Adam David Lisagor appears on many of TrueCar’s commercials as he’s considered to be relatable to many real-world people. How to delete TrueCar account? To deactivate your account, you can email customer support. They will take care of deactivating your account and new car dealerships will no longer attempt to contact you. How to unsubscribe from TrueCar? If you would like to unsubscribe from TrueCar, you can simply scroll down to the bottom of a TrueCar email and find and select the “unsubscribe” link. This will stop all future emails. How to become a TrueCar member? To become a TrueCar member, you don’t have to pay a single dime. TrueCar gives all of their car data and even connects you with local dealerships completely free of charge. How to get off TrueCar? You can get off of TrueCar by emailing customer support and asking them to deactivate your account. You can also unsubscribe from TrueCar emails if you no longer wish to receive them. How much does TrueCar make on advertising? TrueCar asks for a set fee from dealers for every car sold, and the fee depends on whether the car is new or used. This is where TrueCar makes their money from.